Was your MacBook Pro Aluminum (2006-2008) recently exposed to any kind of water and/or liquid? 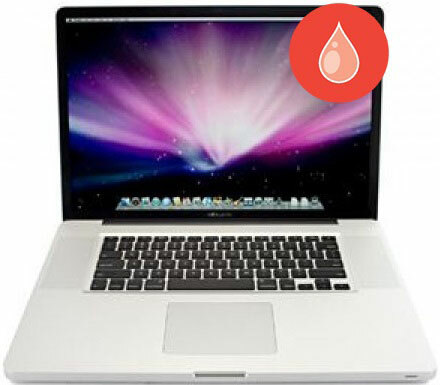 If so, our MacBook Pro Aluminum (2006-2008) water/liquid damage repair service is what you need! Trained AppleSolution technicians put your MacBook Pro Aluminum (2006-2008) through a thorough drying and cleaning process, a process that verifies each component's ability to function properly. Once your MacBook Pro Aluminum (2006-2008) has been fully diagnosed, a technician will contact you with a repair quote and pick up date. If for any reason you choose not to proceed beyond diagnostics, or your MacBook Pro Aluminum (2006-2008) is not repairable, you are never charged for our MacBook Pro Aluminum (2006-2008) water/liquid damage diagnostic services!